What it is: The Halo Sport system, offered by Halo Neuroscience, is designed for "neuropriming" using transcranial direct current stimulation tDCS). 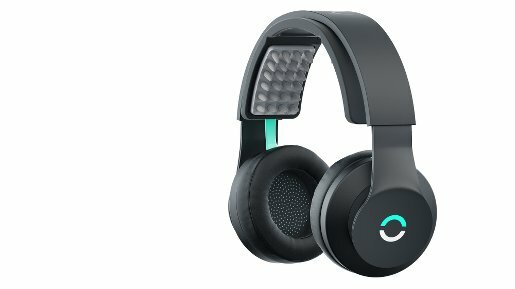 According to the corporate website, the device, which looks like a pair of headphone, delivers neurostimulation that "increase[s] the excitability of motor neurons, benefiting athletes in two ways: accelerated strength and skill acquisition." Who uses it: Olympic ski jumpers have used Halo Sport, as have NFL draftees. The science: The company has published research on the benefits of tDCS, including for muscular performance, dynamic balance, and learning fine motor skills. There are also case studies available on the corporate website, including results that showed Olympic ski jumpers who trained with Halo Sport "increase[d] propulsive force by 13% and jump smoothness by 11% over control in 4 weeks." In a recent article published by The Ringer, when asked a question why more peer-reviewed evidence hasn't been published, Halo Neuroscience CEO Daniel Chao said, "Academics are really interested in us publishing something. As a for-profit company, that's not our mandate . . . Patents come before publications." The testimonial: Luke Bodensteiner, executive vice president of Athletics for the United States Ski and Snowboard Association, is quoted on the corporate website--"We're seeing enhanced learning ability and enhanced power output." Learn about "Emerging Medical Trends Every Device Company Should Know About" at the MD&M Minneapolis Conference, September 21-22.